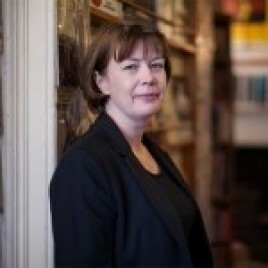 Sarah Morrison is Communications Executive of Edinburgh UNESCO City of Literature Trust. Sarah joined the Trust in 2013 after eight years with independent publishers Birlinn Ltd as Publicity & Marketing Officer. Her entire professional career has been spent working with the written word in Edinburgh, first as an Editor and Production Editor for Churchill Livingstone and the Royal College of Surgeons of Edinburgh, and then as a writer for Edinburgh Evening News. Sarah was also a Senior Bookseller with Ottakar’s Plc in their flagship store in Edinburgh buying for the Scottish fiction and non-fiction department.